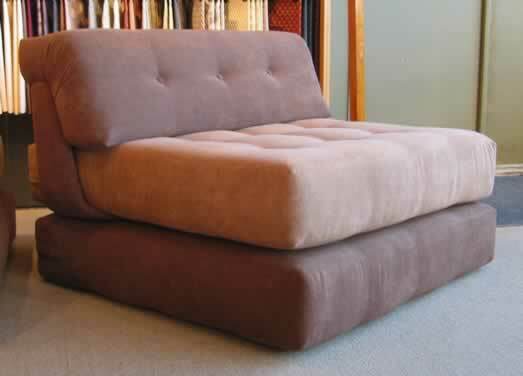 Elan Designs custom sofas with the highest quality construction and materials. 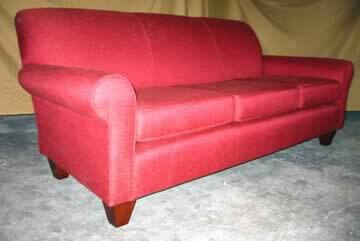 Each piece we sell is bench made, upholstered by one craftsman - not an assembly line. 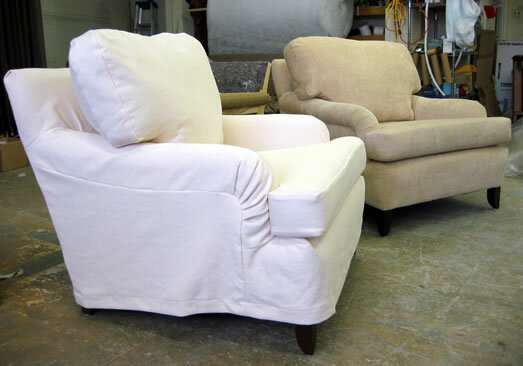 From frame to springs, padding to upholstering, there are many painstaking steps executed by hand. The quality built in each step determines the ultimate durability and beauty of your upholstered furniture. Solid birch hardwood. Contoured for permanent strength and shape. Blocked corner joints, glued and screwed for stability. No wobbling or creaking. 9-gauge steel coil springs for strength and support. Each coil is individually hand sewn 6 points to interwoven jute straps for maximum stability. Coils are then hand tied 8 ways for deep seated comfort and support. We do not use drop in units; each piece is sprung according to the style's contours and dimensions. 8-gauge steel no sag springs attached on 4.5”centres for optimum support; double sprung at sides to avoid pocketing. Lateral steel cables (edge wire) are clamped to each spring for extra stability. Interwoven elastic webbing at 1.5” intervals for maximum strength and stability on lightly scaled contemporary styles. 1. Sinuous steel springs in 11 gauge steel laterally stabilized with helical coils for maximum support and shape retention. No sagging backs. 2. Webbing interwoven at 1.5” intervals on light scale styles to retain shape and support. We use interwoven jute webbing for strength and shape retention. This is overlaid with our 4-layer traditional padding: burlap, felt, cotton and foam. We use the highest quality seat foam on the arms to reduce wear. 1. Burlap over entire frame and springs provides a secure base for padding. 2. Felt layer cushions and protects against hardness of springs; adds resilience. 3. Layer of cotton padding gives support and a resilient base for foam, preventing undue fabric wear. 4. A foam layer (thickness depending on style) ensures smooth soft contours. Custom cut to fit individual pieces. Flow matched patterns to insure continuity. Evenly stretched to minimize wrinkling. Serged edges on all seams and fabrics prone to fraying. Our piping is cut on the bias and sewn separately for wrinkle free welts that follow curves smoothly and lie flat.